Some of the first cohort of Northumberland Career College students. 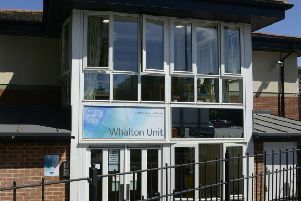 Northumberland College is inviting parents to find out more about its new curriculum that is available to students from the age of 14. As part of its legal requirements, Northumberland County Council sent a letter to all parents of youngsters in Years 9 and 10, informing them of additional educational choices for learners. It was discussed on local social media sites, with some comments wondering if their child had been selected in some way. However, this was not the case. One of the options was the Northumberland Career College, which offers specialist qualifications in construction, engineering, hospitality and rural tourism. It started last autumn, initially with a group aged 16-plus, and is part of a national initiative. Career colleges provide young people with the opportunity to combine academic studies with practical learning within a specific industry. Helen Norris, director of 14 to 16 and career college at Northumberland College, said: “Some students will prefer to stay on at school, but this is an option for those who want to gain an understanding of and qualifications for the industry they want to work in and it will help to address skills shortages in the four sectors we have chosen. “We will offer free, unbiased advice and guidance about all the programmes available. We aim to recruit students that best suit their prior qualifications, experience, career aspirations and interests. Joy Younger’s son Arran turns 14 in August. An application to be part of the engineering group has been submitted. Joanne Nicholson is considering an application for her daughter, Georgina, in hospitality. Classes for this sector will take place at Kirkley Hall.